Long-time Los Gatos resident, Kenneth A. Benjamin, DDS, died peacefully January 28, 2019, surrounded by his loving family, following a long illness. Ken was born in Detroit, MI, to the late Ethel and Edward Benjamin. He earned his degree in dentistry from the University of Detroit and an advanced degree in endodontics from the University of Michigan. He served the community as an endodontist for more than 30 years. His retirement in 2004 allowed Ken to pursue photography full-time. His remarkable photos, often on display in Los Gatos, took his audiences from the streets of Los Gatos to an African wild game reserve. He captured the universal spirit of children from around the world, Europe, Nepal, Kenya, Guatemala, France and his favorite continent, Africa. 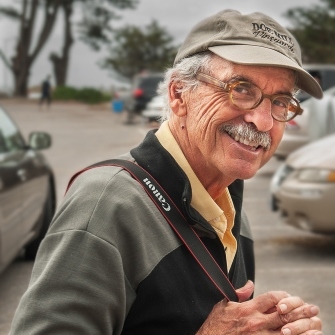 The community of Los Gatos consistently selected Ken as their favorite photographer. He is survived by Janice, his loving wife of 33 years, his daughters, Hillary (Chris) and Shawn (Dana), brothers Norman and Lloyd (Martha) sister-in-law Carol Calhoun (Steve), brothers-in-law, Merle Leighty (Shirley), Richard Leighty (Janet) and numerous nieces and nephews. Services will be held at Darling Fischer Chapel of the Hills, 615 N. Santa Cruz Ave., Los Gatos, CA 95030, on Saturday, Feb. 2, 2019 at 11:30 AM. Donations in Ken’s memory may be made to Endo Option Africa, Inc., 16031 Matilija Dr. Los Gatos, CA 95030, or Services for Brain Injury, 480 North First Street, San Jose, CA 95112, Attn: Christine Camara.